As the cities along the Tohoku Pacific Coast are debating the best ways to move forward with rebuilding and prevention, one thing is for sure: reconstruction has seen the seafood industry rebound, allowing lots of unique local flavors to make a comeback. Let's take a look at the dedicated recovery effort as well as taste the fruits of their labor. Taro is a little town on the Sanriku Coast that became part of Miyako City, in Iwate Prefecture, through a municipal merger in 2005. The Taro District had a 10-meter high seawall in an X-shaped configuration, which was also referred to as "The Great Wall of China." This seawall attracted a great deal of international attention when it held up against tsunamis from the Great Chilean Earthquake in 1960. However, Taro disappeared under the water in the Great East Japan Earthquake after being battered by multiple tsunamis. In various tsunami-prone areas throughout Japan, there are spoken traditions to guard against tsunamis that have been handed down through the generations. One of these is an age-old disaster prevention education policy along the Sanriku Coast in Iwate Prefecture, called Tsunami Dendenko, which means “You alone can save your own life.” When faced with a natural disaster, people tend to be consumed by nerves and fear, but having this belief should help to reduce casualties due to worry and lack of knowledge. There were no fatalities among elementary and middle school children who were at school in Kamaishi, perhaps because this slogan was being implemented thoroughly. Houraikan, which had been battered by tsunamis in the past, was designated as a holding center for residents at the time of the disaster. The proprietress, who was dying, has held on through the conviction that she really needed to live. That conviction soon turned into emotional support for the local residents. The energy that replaced sad feelings with positive emotions has led to the road to recovery. Her actions, which went beyond mere slogans, and her attitude, which embraces life and fate wholeheartedly, were fascinating and thought-provoking. Houraikan, built along the Pacific Coast, had a beautiful beach 200 meters wide and two kilometers long in front of it before the Great East Japan Earthquake on March 11. It was famous for its gorgeous views of white sand beaches and green pines, and became a famous, lively bathing beach in the summer. Although part of the sandy beach is now gone, we may be able to reconstruct the view that we can now only enjoy in photographs in the near future, so long as we have the pine trees, the rocks, sand and the will to rebuild our hometown. That would also give the Houraikan a new, natural seawall. When it comes to souvenirs from Iwate Prefecture, Kamome no Tamago (Seagull Eggs) with their elaborate, moist and smooth texture might be the first to come to mind. The Ofunato Tsunami Museum was opened in the year following the Great East Japan Earthquake on March 11, on the vacant premises of Saito Confectionery’s Nakai factory, which produces these sweets. Based on the conviction of “Informing future generations…because we want you to survive,” the Ofunato Tsunami Museum displays not only what happened to Mr. Saito, the museum’s curator, but a collection of other materials and experiences that are worth sharing. It is a learning facility that was made to reduce damage from natural disasters through videos and displays. These video records are being used as tools to study the disaster and to conduct research into ways of determining if one can be saved in the event of a disaster. Thanks to advances in science and technology, our lives have become convenient and comfortable, but at the same time, we are rapidly losing our capacity to deal with nature instantaneously. This will be a serious issue in disaster education in the future. 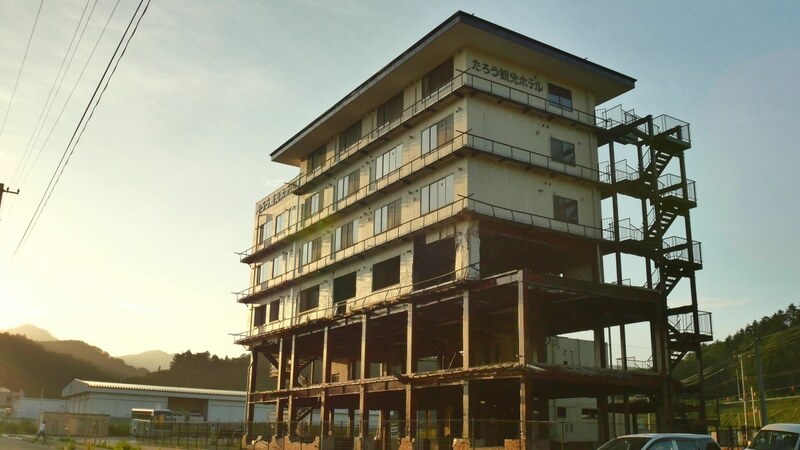 Starting from April 2018, the Ofunato Tsunami Museum will be given new life in the Reconstruction Headquarters Building (temporarily named), which will be completed in front of the JR Ofunato Station. We hope that the new location will strengthen the museum’s function in providing information for evacuation and disaster prevention education, as well as bolster the conviction and energy of its founders in their efforts to provide education about the value of life. Open: 10 a.m.–3:30 p.m.; Tours from 10 a.m.– and 3:30 p.m. The Great East Japan Earthquake wrought devastation upon areas along the Pacific Coast of Japan. For the people living there, the remains that are left and the traces of the hometown that they have reclaimed are more than just records. The most important issue is how to keep disasters to a minimum in the future. 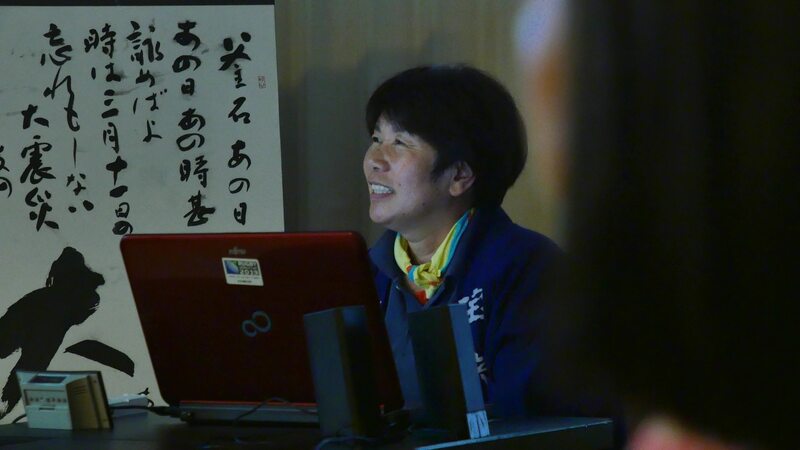 Rikuzentakata City, in Iwate Prefecture, is offering a Front Line in Rebuilding Tour to raise awareness about disaster prevention in people from other areas, and to convey information about lessons learned from the disaster and how they have started rebuilding their hometown from nothing. Through explanations on the preservation status of the Miracle Lone Pine Tree, and the remains of the former roadside TAPIC station, visitors can get a feel for the time the disaster struck, and think about the importance of disaster prevention. Since there are no tours available in foreign languages, you may need to bring an interpreter if you wish to participate. If you have strong feelings for the land of Japan, you may wish to visit the Rikuzentakata Recovery and Town-Building Information Center to explore the efforts being made on the road to recovery. Sea squirts produced in Japan are primarily farm-raised, of which around 80 percent are produced in Miyagi Prefecture in the Tohoku region. Hirono, located on the northernmost tip of the Pacific Coast in Iwate Prefecture, is a rare spot along the Sanriku Coast in that it lacks a bay, having the unique geological characteristic of facing a wide body of open water. This makes it unsuitable for farming, but at the same time, a prime spot for catching wild sea squirts, seaweed, abalone and sea urchin. Hirono has a traditional method of fishing called Nanbu Moguri (which uses a helmet) stretching back over 100 years. This technique of Nanbu Moguri is being carried on through the Marine Development Department at the local Taneichi High School, which continues to focus its effort on raising Nanbu Divers. Sea squirts caught at depths of 30–40 meters (98-131 ft) are not only rare, they are less astringent and bitter compared to farmed sea squirts, and are at their most delicious from April to December. I had tried sea squirt (also called sea pineapple) once at an izakaya, but I’d found it disgusting, and had no idea that I would be trying a sea squirt dish again. Hanamasutei, which was devastated by the tsunami in the Great East Japan Earthquake on March 11, restarted its business the following year in a collapsible container under a grant from the Organization for Small & Medium Enterprises and Regional Innovation. The sea squirt ramen offered by Hamanasutei caused something of a boom thanks to media coverage in Japan, and the wild sea squirt from Iwate Prefecture’s Hirono, which was used as a topping, also sprang to fame. Although it was said to be difficult to preserve, new research through trial and error has now made it possible to enjoy the fresh and flavor throughout the year. I was surprised when I actually tasted the sea squirt ramen, which had terrified both my mind and body! The broth from chicken bones and sea squirt salt is combined with thin noodles that pick up the broth, and the mild but rich sea-flavored ramen gave me not only a new experience in taste but a lasting impression. Surely many people have visited Kuji, in Iwate Prefecture, which was the setting for the Japanese TV drama Amachan. Surrounded by mountains and facing the sea, Kuji is blessed with a cornucopia of products including short-horned Japanese cattle, soba and sea urchin. With just a short walk from Kuji Station, you can enjoy a wide variety of local dishes from different genres. Of these, Sarashina is the most famous restaurant to offer kaisen (seafood) soba. If you see a soba restaurant in Japan with Sarashina in its name, you are almost guaranteed a positive experience. This restaurant is an independent cafeteria run by its friendly proprietor, Mr. Shimizu, and has enough seats to accommodate a large number of people, with an at-home décor that will make you feel at home. The generous menu, which offers large servings at low prices without compromising on quality, will be easy on travelers’ wallets, while still satisfying appetites. The Northern Limits Ama (female diver) Soba (¥1,100), served on a flat plate that is a whopping 30 centimeters in diameter, is heaped so high with the sashimi of the day together with almost 10 varieties of freshly boiled seafood including fresh shrimp, octopus, scallops and sea urchin, that the soba is all but covered up. You will probably gasp in surprise when it arrives at your table. The toppings may vary slightly depending on the fish that was caught and purchased, but this also serves to heighten the anticipation for each visit. The fat scallops that can be caught in the Northern Sanriku area have a chewiness that clearly takes on more umami with the advent of winter. Please do savor this with your own tastebuds if you have the opportunity. Open: 11 a.m.–2:30 p.m.; 5 p.m.–9:30 p.m. The Yamada Rest Area, which was spared damage from the great tsunami due to its location on high ground, was a temporary evacuation center at the time of the disaster and provided energy and courage to the local residents. It is also a stop for numerous bus routes, with a small cafeteria that serves light meals in addition to offering local souvenirs. There is also a simple tourist center inside the facility, where you can get the information that you need for your trip. The Yamada Cafeteria uses a ticket vending machine system, and its most popular dish is the Seaweed Ramen, made from seaweed produced in the Sanriku area and flour produced in Iwate Prefecture. The Chinese noodles, which contain seaweed powder produced in Sanriku, spread the taste of seaweed with every mouthful, with a hint of elasticity within its smooth texture. These noodles are made by Kamaageya, a popular local noodle shop. The noodles, made from locally sourced ingredients, do not contain any food coloring or preservatives and are combined with a homemade shrimp-flavored salt-based broth. The affordable price, at a single coin, is another reason for its popularity, so take your time enjoying this. For dessert, it’s worth trying the local seaweed soft-serve ice cream, which uses seaweed. You can eat ramen that uses an extract of saury even in Tokyo, but it’s doubtful that you’ll find any ramen restaurants that actually serve saury as a topping. The Banrai Cafeteria has been around for around 40 years, and the helpful husband-and-wife proprietors are always bustling around with smiles, serving tea and greeting everyone. The extensive menu has everything from set meals to fried rice, rice bowl dishes and ramen, and the establishment can be considered a typical Japanese greasy spoon. It is beloved by local gourmands, especially the Savory Saury Ramen (¥700) which is often covered in the media. If one were to pick out what makes this ramen so special, it would have to be the proprietor’s brainwave! The saury, which is stewed for 12 hours, is so tender that it can be swallowed whole bones and all, and the time and care that goes into this dish is quite extraordinary. A gelée is used to reduce the fishy smell associated with saury, and the resulting slightly sweet flavor, with just the perfect amount of saltiness, is surprisingly delicious. This is combined with thin, wavy, elastic Chinese noodles, adding homemade pickled plum that changes flavor with every bite, a slice of lemon and some Chinese bamboo. Although it may look like a complex combination, the flavors come together with perfect harmony in your mouth, creating a unique flavor that changes with every bite and never becomes boring. No doubt that both adults and kids will love this taste! For travelers with big appetites, we recommend that you take the rice that comes in the set menu, and add it to the remaining broth. Enjoy the gourmet feast for which the proprietor has spared no effort! Kamaishi, in the Tohoku area’s Iwate Prefecture, has a port and, by extension, a thriving fishing industry. The catches are substantial, and most traditional dishes are based on seafood. Broth made by reducing chicken and pork bones may actually be quite special. The Chinese restaurant Shinkaen Honten, beloved by locals and tourists, is on the boulevard stretching from Kamaishi Station to the Ohmachi Shopping Area. We talked to Mr. Saijo, the second-generation proprietor. Mr. Saijo’s father is from Taiwan and came to Sendai in the Tohoku region almost 70 years ago, setting down roots in Kamaishi 40 years ago. The popular Kamaishi Ramen (¥550) was invented by the first proprietor and has since evolved into its current form. In addition to fishing, another big industry in Kamaishi is steel. In order to ensure that lunch can be finished within a very short break, specially made thin noodles that can be served after warming in hot water for 10 seconds have been adopted and toppings other than the chashu (braised pork) are selected for easy chewing and swallowing. This carefully considered ramen is suitable for children too. The Japanese cuisine-based broth is light and not oily, and the chashu, with its perfect balance of fat and red meat, is very filling. You could eat this superb trifecta of broth, noodles and the toppings every day without tiring of it. This is why you will often see a long line at mealtimes. In fact, it is so delicious that in 2015, the restaurant collaborated with a convenience store to launch an instant noodle version that can be warmed up in a microwave. You can see how popular it is! Take all the umami extracts available from the ocean and infuse all of them into a single tasty ramen dish. Wouldn’t it be amazing to have easy access to this kind of ramen? Iso ramen is probably the epitome of this ideal. There are various restaurants along the Pacific Coast in Japan’s Tohoku area that offer iso ramen, and although there are slight differences in flavor, they are all perfect manifestations of the freshness of the sea and delicate flavor. For example, the chewy seaweed, with its many-layered richness, and the fancy ingredients such as sea urchin and scallops are both essential factors that determine the taste of iso ramen. Another characteristic of iso ramen is the choice of thin, wavy Chinese noodles that pick up the broth. Of course, flavor and a healthy color are also important. Konno Direct Sales, where they farm their own scallops, also manages a restaurant that is beloved by locals and tourists alike. Their most popular dish, Iso Ramen (¥680) uses wakame, funori, matsumo and toasted varieties of seaweed, so that you can enjoy the texture and flavors of four different types of seaweed. The fresh scallops, which draw the most attention, are well rounded and very sweet. The light salt flavor and the thin, wavy Chinese noodles are combined with the umami and texture of the seaweed and the sweet extracts from the naturally green ingredients. Light on the stomach, and not oily, this ramen is healthy yet full of flavor, having an attraction that is hard to beat. The Hirono Farm in Iwate Prefecture raises a pure Japanese breed of chicken called akadori. The broth made by stewing akadori bones together with copious amounts of fresh vegetables is so good that it defies expression. It is not just the broth, the seasonings are also exquisite. The miso-based Akadori Ramen (¥680) is delivered in a wooden bowl, accompanied by an indescribable flavor. A fresh sweetness pervades your mouth with the first sip, with the impression of a flavor that is good for your health. The condiments are selected from local vegetables, adding not only a pleasing visual effect but raising the taste of this ramen to new heights. Adding fresh braised akadori slices or minced akadori meat will lead to discoveries of new flavors. Kyassen Ofunato, a complex that began full operations on April 29, 2017, has a food village, a mall and patio comprising a shopping center, and an exchange and activities center for local residents. Although reconstruction plans for the various areas of Ofunato are still underway, this complex is a valuable asset for local residents, as it has helped many to get their lives back on track. Many outsiders who have been actively involved in reconstruction tourism also find this complex to be inspiring. This facility serves to connect the past with the future. Kurofune Second uses the extracts of various shellfish including clams and corbicula together with Nanbudori, which is the branded chicken grown in Iwate Prefecture, for its broth. The broth made from the combination of these ingredients is not only full of flavor but also provides the perfect balance. The carefully selected medium-thick noodles are homemade, based on a unique blend of two varieties of flour from Iwate Prefecture. The smooth texture is neither too hard nor too soft, but just right. With the first bite, sweetness spreads through your mouth at once, bringing with it a soft, mature flavor. The toppings include Kippin Abalone from the Sanriku area, abalone liver sauce, and sous-vide chashu that melts in your mouth. When eating, the abalone sauce should be dissolved in the broth slowly, in order to enjoy the changing flavors. Of course, if you choose to add the minced onion offered by the restaurant midway through the dish, the flavor becomes light, making you feel refreshed and ready to eat more.